Help us reach 2000 members! 2017 has been a hugely successful year here for the trails! With over 1600 members and counting, we are well on our way to reaching our 2017 membership goal of 2000 members! If you have family and friends who love and ride the trails, encourage them to become a member! If all our members got just one more person to buy a membership we would not only reach but surpass our membership goal! More members means more resources for trail maintenance and building, more education, more advocacy and a stronger relationship with land managers! And once we hit 2000, SRAM will once again be giving away a prize to a lucky member. 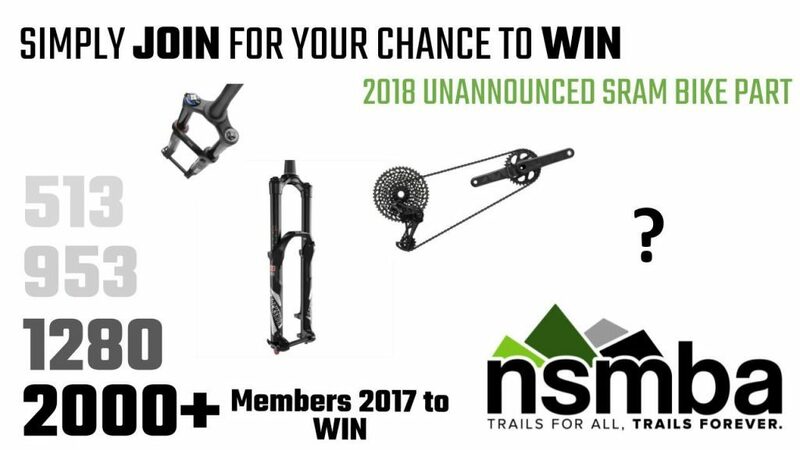 So the more people who buy a membership, the closer you get to the chance to win an awesome prize!